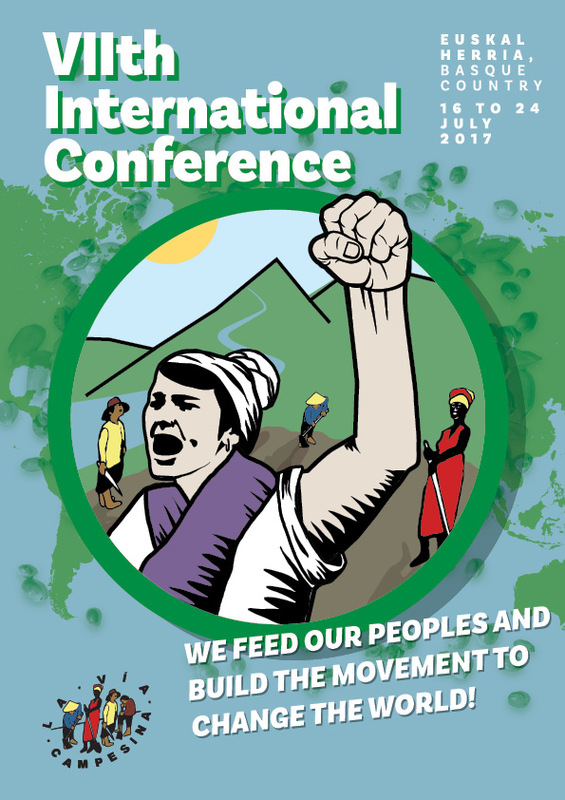 (Harare, 12 May 2017) The international peasant’s movement La Via Campesina invites journalists from around the world to cover our VIIth International Conference, which will be held in Derio, Bizkaia (Basque Country), 16th – 24th July 2017. This will be preceded by the IVth International Assembly of LVC Youth and the Vth International Assembly of LVC Women. In the current context of economic, environmental, and food crises, peasant movements from around the world will discuss the alternatives that food sovereignty and peasant farming offer in the face of agribusiness and the neoliberal model policies. The international peasant movement will look for strategies against green capitalism, land grabbing and the grabbing of other common goods which put the balance between the earth and humanity in danger. The VIIth Via Campesina Conference is open to the media and to journalists. However, all must be duly accredited in advance by the Vía Campesina team in charge of media relations. If you are interested in participating, please complete the form and we will be in touch. It is also possible to organize interviews with the delegates through Skype, telephone, or other means of communication in coordination with our media team. For clarification purposes, Via Campesina will not cover the costs of transport to Spain, or accommodation for journalists. However, we can commit to giving all the logistical information necessary to guarantee your participation in the VIIth Conference.